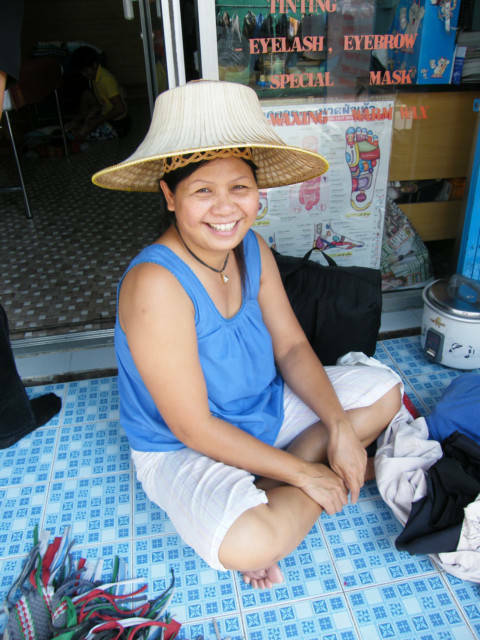 I walked over to my laundry lady to expose my dirty laundry to her, she is sitting in front of the shop with this Thailand Tourist Hat on. Why do you have that hat on your head? This is a Farang hat, only the crazy Farang where these hats. I am paying for laundry, so may as well get some extra soap opera, so I asked if I could take a photo. Traditional, real people do not like their photos taken looking normal, strange as it may sound, they would rather go get their cell phone or something modern to show me. This is the hat, has this hold em up high headband thing, I am not sure, seen a few in places, however not up close, and I refuse to talk to the Tourist wearing these things. I am afraid I would go crazy if I talked with them, maybe their lost sense of reality would take over and I would go kapoot. 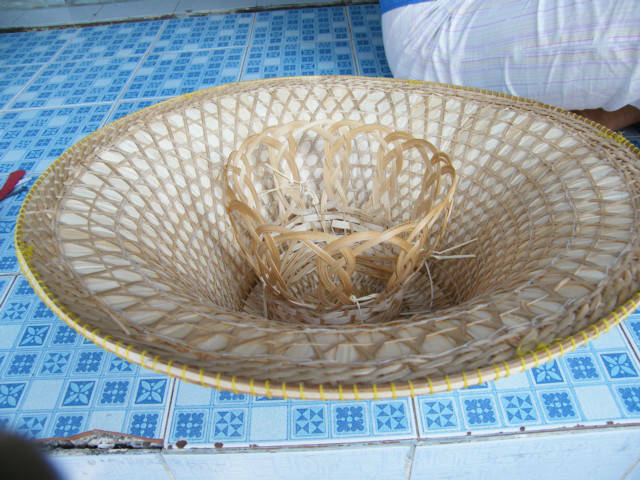 I see them on people in rice paddies, I see it a good shade hat, however not hot or enclosing. I do not know, I also will not try one on, I look silly enough without a silly hat. Now, I do know us Farang all sort of look the same, big noses, white, take photos and such. I am thinking, I sure hope nobody handsome drops their clothes off today or comes and picks them up. I may not have any clothes.